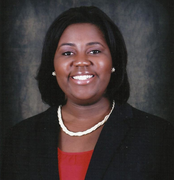 Dr. Leann V. Smith received her Ph.D. in School Psychology from the University of Texas at Austin (UT Austin). She also holds a master's degree in educational psychology from UT Austin and a bachelor's degree in mathematics from Texas A&M University. Her research focuses on the effects of multiple ecological systems on the academic, emotional and social development of ethnic minority youth, with an emphasis on cultural assets for Black youth. Other areas of research include STEM achievement and motivation, and the diversification of the field of school psychology. Dr. Smith also has a solid foundation of clinical skills in school, private outpatient, residential treatment, and community mental health settings. She completed her APA- and APPIC-approved predoctoral internship at the Momentous Institute in Dallas, TX. This line of research focuses primarily on the cultural-specific correlates of academic motivation, achievement, and psychological well-being of racially diverse youth. An emphasis on the investigation of cultural assets for Black youth is also apparent. Blake, J.J., Smith, L.V., & Knight, A.D. (2016). Theoretical frameworks of ethnic minority youth achievement. In S. L. Graves and J. J. Blake (Eds. ), Psychoeducational assessment and intervention for ethnic minority children: Evidence-based approaches. As the nation's cultural and linguistic diversity continues to increase, it is important that the professionals and goals of the profession of school psychology become more inclusive of and responsive to diversity. Smith, L.V., Blake, J. J., & Graves, S. L. (2013). School psychology programs’ efforts to recruit culturally diverse students. Trainers’ Forum, 31(2), 4-23. I do this work --about which I'm wildly passionate-- because ALL children deserve an opportunity to be resilient. Exceptional children are not merely born, they are raised by parents, teachers, communities, mentors, friends and are given certain assets (love, support, discipline, socialization, spirituality, identity) that will allow them to overcome the stressors we all encounter during development. I do this work because once we better understand that which makes children resilient, we can intervene and begin to change the trajectory of their future.